The Swadlincote branch is a well resourced agency providing honest advice and a commitment to excellent customer service. Taken over by Tim Stockdale in 2006, the branch has grown from a small back street office with just three staff, to a prime High Street location and numbers of staff have doubled. 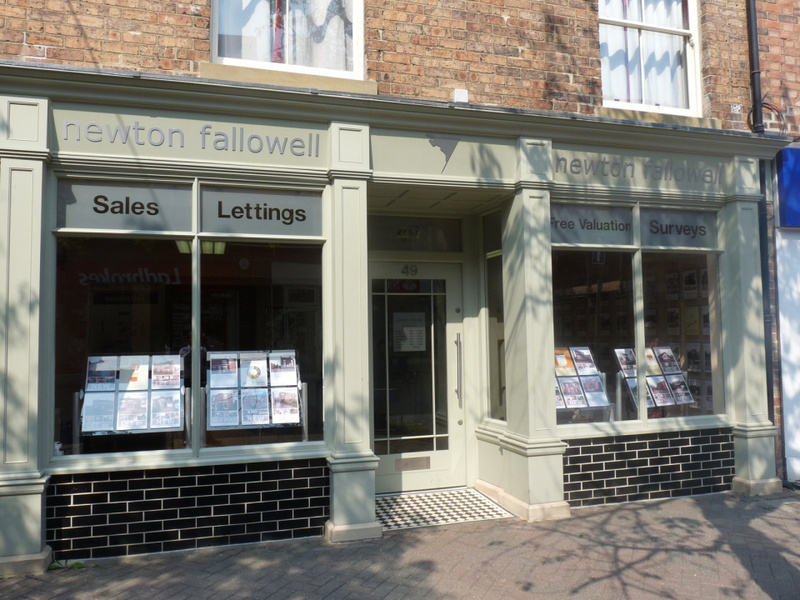 Specialising in sales, lettings, conveyancing and mortgages, the branch boasts a modern, open plan office with free parking for customers, to the rear of the office. The sales team is friendly and approachable and endeavour to offer a superior post sales service, from offer through to completion. As well as receiving a host of thank you cards from satisfied customers, the branch’s commitment to customer service excellence was recently recognised by a survey of vendors and buyers of completed sales by the Property Ombudsmen, resulting in a score for the branch of 10/10 for both service and satisfaction. This has also been reflected in the growth seen during recent years, with the sales side of the business witnessing significant growth over the last eight years, making them the area’s market leader for two consecutive years. The lettings side of the business has also been successful since its launch in 2009, with around 100 properties managed to date. The branch has a keen involvement in the local community and currently sponsors Gresley Football Club, as well as supporting the Overseal Gala. Home to former Boxing Heavy Weight British Champion, Jack Bodell, Swadlincote is a market town in South Derbyshire and the most central town in England, making it an ideal commuter base. The town has undergone a huge amount of redevelopment over the last decade including a new Market Square and a new retail park featuring a cinema and several restaurants. The town has a rich history, with recordings in the Domesday book of a settlement at Church Gresely dating back to the 11th century. Castle Gresley even has the remains of a motte and bailey castle, known locally as ‘Castle Knob’. Swadlincote is just 14 miles south of Derby and approximately 21 miles from Leicester and 28 miles from Nottingham. Birmingham is also commutable (30 miles) and there are two airports within easy reach - Birmingham airport (27 miles) and East Midland’s airport (15 miles). The town’s Central bus station provides residents with services to Burton on Trent, Ashby de la Zouch, Derby and Leicester. Alternatively, Burton train station is just 7 miles away, with links to various major cities. Swadlincote’s central location also means there is excellent access to various motorway networks including the M1, M6, M42, A38 and A50, all of which are all close by. Whilst Swadlincote has previously been known for its industrial heritage, with the first record of mineral extraction dated as far back as the 13th century, the town has recently seen massive regeneration, with the creation of the National Forest which offers a range of countryside activities for local families and visitors to enjoy. These include woodland walks, cycling, historic houses and various events throughout the year, including festivals. The town has three local comprehensive schools for families to choose from – Pingle, William Allitt and Granville. There are also numerous primary and infant schools and Burton and South Derbyshire College have one of their campuses located in Swadlincote. The market in and around Swadlincote is currently very buoyant and the town offers a wide range of properties, from apartments to large detached houses. Closer to the town centre, there is an attractive mix of traditional Victorian and Edwardian housing, which makes way for 1970’s/80’s/90’s estates as you move further out. On the edge of town, there are an abundance of newer developments, built over the last decade, with a high number of further builds about to be built. Outlying villages such as Overseal, Hartshorne and Linton offer a more rural setting, with older style properties mixed with a small number of new build properties. Property prices in Swadlincote have historically been lower than other towns in the region and have attracted buyers from places such as Lichfield and Tamworth. The average house price is currently in the region of £150,000. A two bedroom terraced house tends to sell for around £85,000; a three bedroom semi-detached property for around £130,000 and a detached house for between £155,000 (three bedrooms) to £190,000 (four bedrooms). There is an active lettings market in Swadlincote, with rentals proving popular amongst young families who struggle to find an adequate deposit to buy. Our rentals are largely made up of properties that have previously been occupied by private landlords, which means that our properties are of a higher quality and tend to attract higher rents. Our most popular rentals are generally two bedroom terraced houses / townhouses and three bedroom semi-detached and detached properties. Average rental prices per calendar month are around £450 for a two bedroom terraced house; £500 for a two bedroom town house or semi-detached house; £600 for a three bedroom semi-detached house; £700 for a three bedroom detached house and as high as £800 – 1000 for a four bedroom detached house. Sally joined the business in 2006. Tom joined the Swadlincote office in 2010. Carolyn joined the Swadlincote branch in 2007.